The original goal of the band was to forge the different musical styles of both Iced Earth’s dark melodies and Blind Guardian’s powerful vocals into one sound. In fact, according to the musicians, the band name is meant to describe the two styles: the self-proclaimed demon-like themes and sounds of Iced Earth and wizard-like themes and sounds of Blind Guardian (the moniker “Demons & Wizards” was inspired by Schaffer’s wife always referring to him and Hansi as “Demons and Angels”. Hansi always corrected her, since he claims to “not be at all angelic”, and that it is more properly stated “Demons and Wizards”, in reference to Uriah Heep’s album of the same name). The band met with a fair deal of commercial success, though not as much as either of their individual bands. The idea for the band arose in the spring of 1997 when Kürsch and Schaffer wanted to make music together, after being friends for several years. 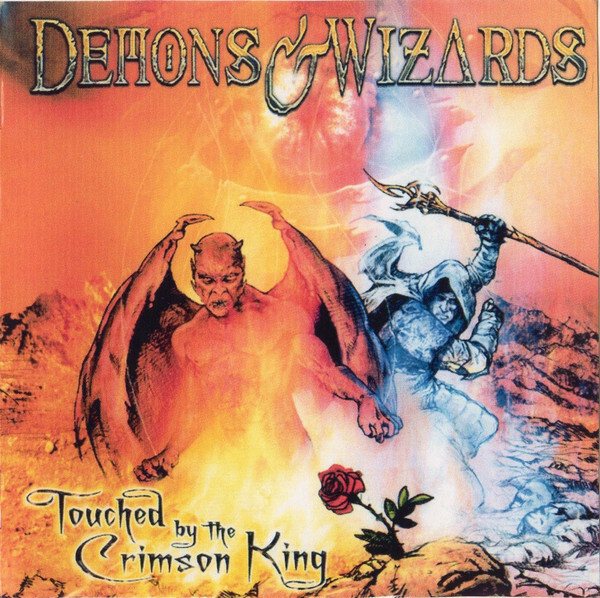 The band’s first full-length release was in 2000, with the self-titled album Demons & Wizards. In 2005, the band released their second album entitled Touched by the Crimson King. Touched by the Crimson King is partially based on The Dark Tower series of books (written by Stephen King), in which the Crimson King is the main antagonist. “You’re going to have to wait and find out my man. I mean, I’m just not ready to divulge yet. I’ve got a few irons in the fire and some things I’m very excited about. Hansi and I have planned late in 2009 to get together to do DEMONS (and WIZARDS) stuff so that’s going to be cool. We saw each other in Cologne (earlier this year) and made plans and I think it’s realistic to say that there will be a third DEMONS and WIZARDS album probably mid- to late 2010. We’re going to have two song writing sessions. We are committed to doing the bulk of this in-person. One of the things I felt like from the last Demons album was that we had this window of opportunity where we had to get it done and we kind of let time dictate the schedule instead of our feelings and that was probably a mistake. I mean I’m proud of that record (“Touched by the Crimson King” 2005) and it sold killer and it’s a good album but I think Hansi and I are capable of a lot more especially when we get back to the root reasons of why we did this thing together. 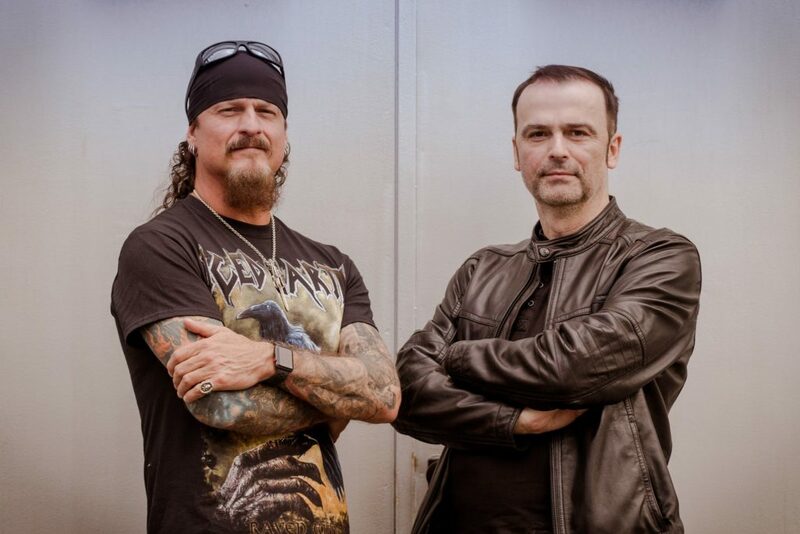 “As we had time to share some serious moments with each other during the 70000 Tons of Metal cruise (somewhere on the oceans of time) Jon [Schaffer; Iced Earth & Sons of Liberty] and I had finally found the chance to put our minds together for a possible next Demons & Wizards album. We cheerfully simultaneously announced our wish to start working on it as quickly as possible. Although time is an issue for both of us we nonetheless decided to start song writing together during the European summer festival season when Jon will be in Europe for Iced Earth performances. During that season we will use every possible moment to complete as much material as possible. On May 15, 2017, Jon Schaffer confirmed in an interview with Metal Wani that he was working with Hansi Kürsch on material for a new Demons & Wizards album. 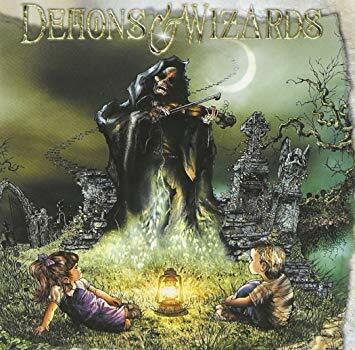 Demons & Wizards have confirmed that they will be playing at the Hellfest festival in June 2019, at the Wacken Open Air festival in August 2019 and will headline ProgPower USA in September 2019.